Constantine R. Campbell, Paul and Union with Christ: An Exegetical and Theological Study. Grand Rapids: Zondervan, 2012. 480 pp. $34.99, paper. It really should not surprise us that every locus of Christian theology should be dominated by considering the person and work of Jesus Christ. Yet somehow, it does. The very riches of God’s eschatological plan, now realized in him, are unsearchable. So the theologian must continue to search the Scriptures, so that our speech about God might more adequately reflect these unsearchable riches. The doctrine of “union with Christ” is central to biblical teaching on “the application of redemption” (cf. the distinction between the work of Christ, and the application of that work to the elect, made in John Murray’s classic book, Redemption – Accomplished and Applied, based on the Westminster Shorter Catechism, questions 29-37). Constantine Campbell helps us to see that for Paul, being “in Christ” is central to much besides: election, knowledge of God as Trinity, many aspects of the Christian life, and the life of the Church. In other words, to understand these areas of theology, we must reckon with union with Christ. It is refreshing to see an exegetical work that interacts with doctrine. 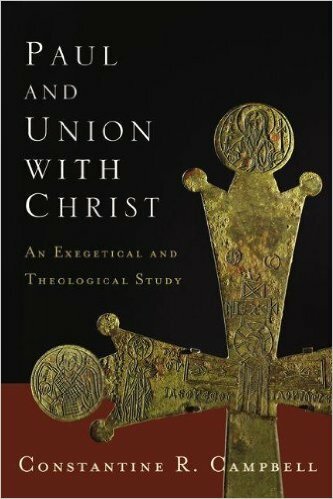 Campbell helps us to sort out false antitheses: justification in Paul, including the imputation of Christ’s (alien) righteousness, should not be set in opposition to union with Christ. Rather, it is a function of being “in Christ,” which is the prior reality (p. 400). Justification is forensic and eschatological (final), but does not denote “covenant faithfulness” (New Perspective), nor ethical transformation. Campbell does not give us a chapter on sanctification, but he does help us to straighten out current confusions about whether the believer’s sanctification includes his own activity (and whether this activity compromises “grace”). Christ is the one “through whom” the Christian does many of the most basic things in the Christian life. Believers’ life “in Christ” explicitly includes activity, virtues and identity. For example, activities include: “speaking, boasting, welcoming others, working, testifying, obeying, rejoicing, standing firm, agreeing with one another, submitting to Christ, encouraging each other, leading, suffering, praising God, maintaining sexual purity, sharing, building God’s people, and putting on his armour” (p. 374). Characteristics of those in Christ include, “faith, boldness, joy, compassion,” and identifying terms include “child, servant, slave, co-worker,” and “prisoner.” Activity, character and description, all flow from the union believers have with Christ. It is the substructure of both justification and a vigorous, active and visible sanctification. This is thoroughly thrilling because it brings consolation and assurance in some of the most mundane matters of Christian living. I would fault the book for its failure to relate union to covenant. (But perhaps the size of the study simply prohibited it.) Campbell sees the antecedents of Paul’s ideas in contemporary Judaism and in Jesus’ statements in the Gospel of John. Old Testament antecedents are metaphors Paul uses: bride, temple, and priestly garments (p. 416). It seems obvious to me that the covenant relationship, which spans Old and New Testaments, is the biblical category that provides precedent for much of Paul’s union language. For example, Campbell rightly argues that when we consider mediation, the work of Christ in reconciling us to God, “representation” and “participation” are not mutually exclusive categories. So, in 2 Cor 5:21, Christ is clearly a substitute. God made him sin “for us.” Yet, Paul, and all believers, Campbell argues, share in “the righteousness of God” accomplished by Christ on the cross. Paul is not the Lord, and he does not atone, but he is included in Christ by the grace of God. He receives the benefits of Christ’s work. Thus substitution and participation do not exclude one another. Instead, “…participation in the representative and substitutionary acts of Christ brings forth resurrection life” (p. 352). This is excellent reasoning. But on what basis were we included in Christ when God made him sin? The obvious answer is that he represented us by virtue of election. In the Old Testament, God redeeming his people, and their sharing his fellowship and “inheritance,” are both found in the covenants, a form of election. But Campbell makes no mention of this. Similarly, he finds no imputation in Romans 5:12-21. Assuming that “corporate personality” is the necessary assumption of imputation, Campbell can find no theological reason that Adam should “encompass” all humanity (pp. 344-45). Instead, Adam and Christ individually represent the aeon, or dominion of either sin/death, or righteousness/life. Rather than “representatives,” they are “entry points,” who, as he writes, “hold the door open” to these realms. “He is not suggesting that Adam’s sin is imputed to all humanity, but that the domain of sin and death claims the many” (p. 345). But we are left asking, why is that so? As Richard Gaffin has noted, in the passage, “trespass” leads to “death” through the judgment of “condemnation” (vv. 16, 18). Likewise, “obedience” leads to “life” by way of “justification.” In other words, the representation of Adam and Christ is a matter of God’s forensic judgment. This is why Adam was the entrance for sin and death for the rest of the race. Further, why does Paul stress the one trespass of the one man, repeating the idea five times in vv. 15-19, not the countless sins of countless people, if this one sin was not in itself decisive for the “condemnation” of “the many”? Representation should not be set over against the dominion of sin, as though they were opposite. That Campbell does this is all the more ironic in that he critiques Daniel Powers for making the same mistake in rejecting substitution with regard to the atonement. As noted earlier, Campbell does not polarize substitution and participation. This protects Paul from semi-Pelagianism, says Campbell (pp. 349-52). His own view of Adam as “door opener” is subject to exactly the same danger. Sin, for Paul, is not found only in the actions of the many. In sum, this big book is a wealth of careful exegesis and reflection. Pastors can make good use it for reference in preaching Paul. Theologians will need to consult it in future expositions of the doctrine of union with Christ. 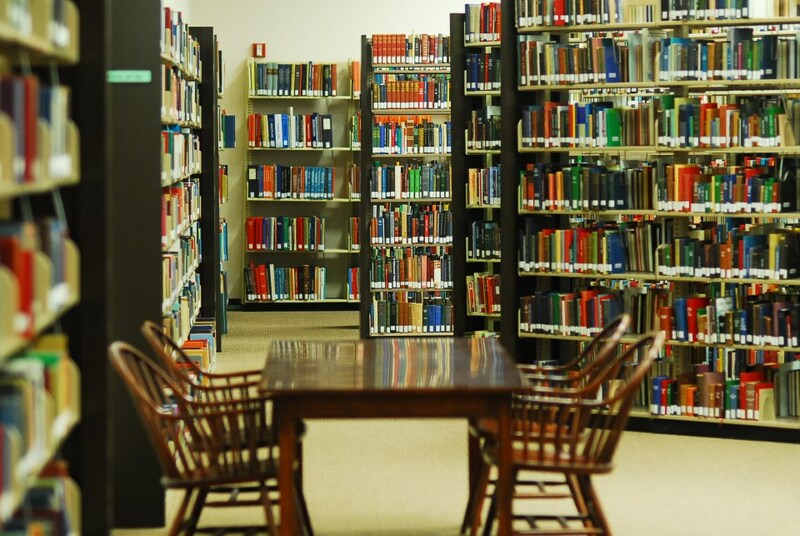 Reformed Theological Seminary, Washington D.C.